Diaries are a great way of getting to know a place or a time through the story of one individual. The Norfolk Record Office holds a huge collection of unpublished material and amongst this are many diaries, personal papers and notes. 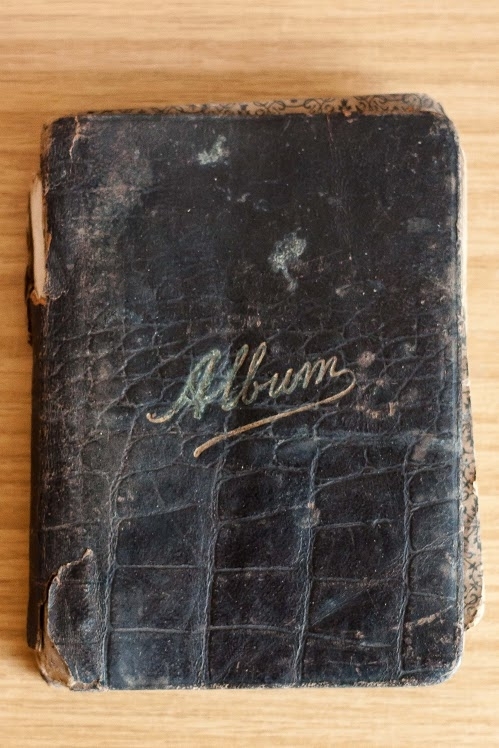 We continue to actively add to our collections and were delighted to recently receive a WW1 Diary recently, discovered and donated by Revd David Hagan-Palmer. The diary was received via Elizabeth Budd, Genealogist and Manager of the Norfolk Heritage Centre, who had completed some research into its author. The diary is that of David Frederick Strauss Reid, who was born and died in Norfolk but who travelled far in the years between. The research completed by Elizabeth concluded that David was born in Norwich but moved to Scotland with his family at a young age. The family later immigrated to Canada. David Frederick Strauss Reid attested on 16 February 1916 and was given the number 626295 in the Canadian Over-Seas Expeditionary Force. At the time he lived in Irvine, Alberta, but he was born in Norwich, England. (Canada, Soldiers of the First World War, 1914-18, available at www.ancestry.co.uk). Ancestry Library edition is available for free at all Norfolk libraries and the Norfolk Record Office. He is recorded as being 23 years and two months at enlistment, and he was 5’ 8”. He had a ‘medium’ complexion with blue eyes and brown hair and was Church of England. He had three vaccination marks on his left arm – most likely from smallpox vaccination. The medical officer considered him fit for service, and so his military career began. 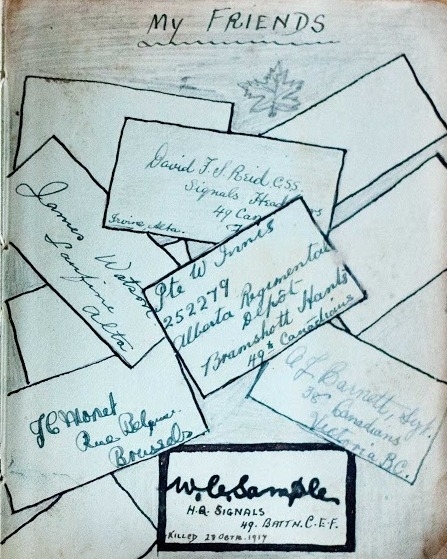 His diary then takes up part of the story, and tells us that he went to France with the 49th Canadians. David survived the war and in the 1921 Census of Canada he is recorded as living in Sub-district 33, Medicine Hat, Alberta. David Frederick Strauss Reid’s last resting place however, does not appear to be Canada. A death record for him appears in Norwich, England, at the end of 1969. (Death Index; December 1969; Norwich Registration District. ; Vol 4b, Page 2102).Death certificates along with birth certificates from 1837 to 31/03/1969 can be purchased from Norfolk Record Office. After this date copies such as this can be obtained from the Norfolk Registration Service. A marriage for David F Reid and Hetty E Lake (sic) appears in September Quarter 1958 in Norwich. (Marriage Index; September Quarter 1958; Norwich RD; Vol 4b, Page 1494).). The obituary for David FS Reid notes that David had at least one son, called Teddy. There are few entries for ‘Teddy’ but we might assume that this is short for ‘Edward’. A David Edward Reid, born on 6 December 1925, is registered as having died in March 1985, in the registration district of ‘Norwich Outer’. (Death Index; March 1985; Norwich Outer RD; Vol 10, Page 2456). Elizabeth’s investigations revealed that David FS Reid travelled to England with 6 year-old David Reid and 39 year-old Laura Reid in 1932. This is presumably his son David Edward (Teddy). He later married a Hettie Lake. It doesn’t appear that David FS Reid had any other children or that his son had any children of his own, but please correct us if we’re wrong. There are almost certainly cousins living in Norfolk still. The war-time diary/album of David Frederick Strauss Reid is now deposited in the Norfolk Record Office. 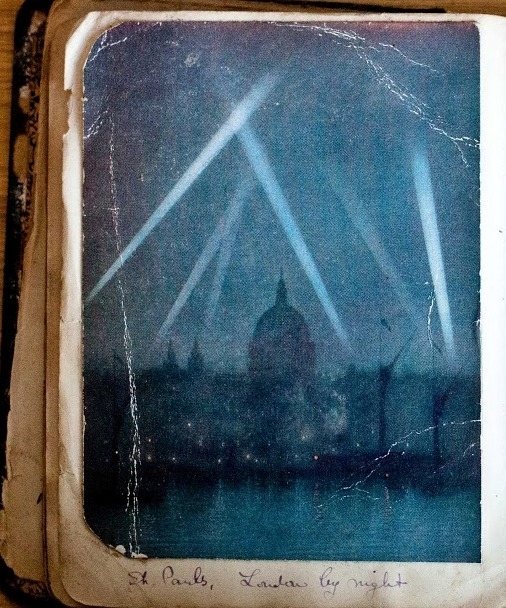 To search for this and any other diaries from the world wars and otherwise go to archives.norfolk.gov.uk, click on “NROCAT” the online catalogue, hit “Advanced Search” and under the “category” tab select diaries. Click search to bring up details of all diaries in the collection. This entry was posted in research project and tagged Archive, Canada, diary, donations, Norfolk. Bookmark the permalink.